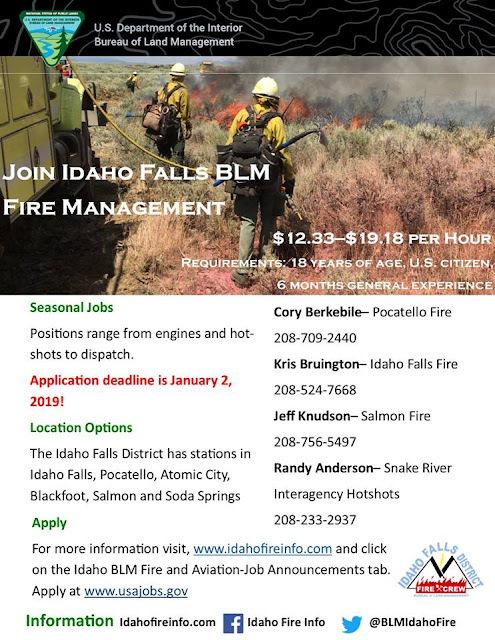 Idaho Fire Information: BLM Idaho Fire is hiring in Twin Falls and Idaho Falls! BLM Idaho Fire is hiring in Twin Falls and Idaho Falls! 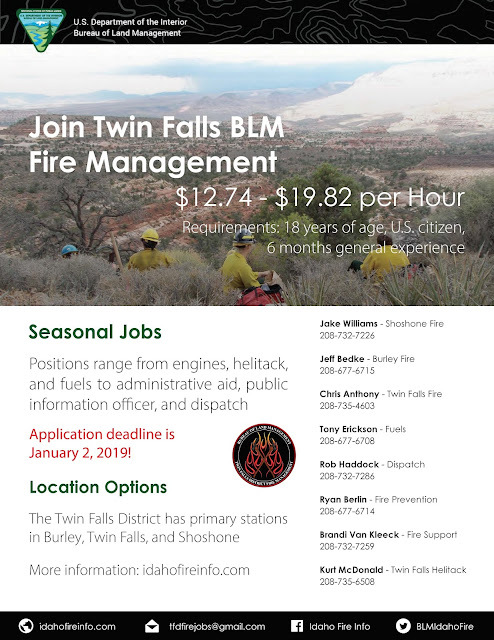 BLM Idaho Fire Management is looking for 2019 fire season staff! We are currently seeking applicants for materials handler (fire warehouse), fire fighting, dispatch, fuels, fire business, and heavy equipment operators. Pay VERY close attention to closing dates! 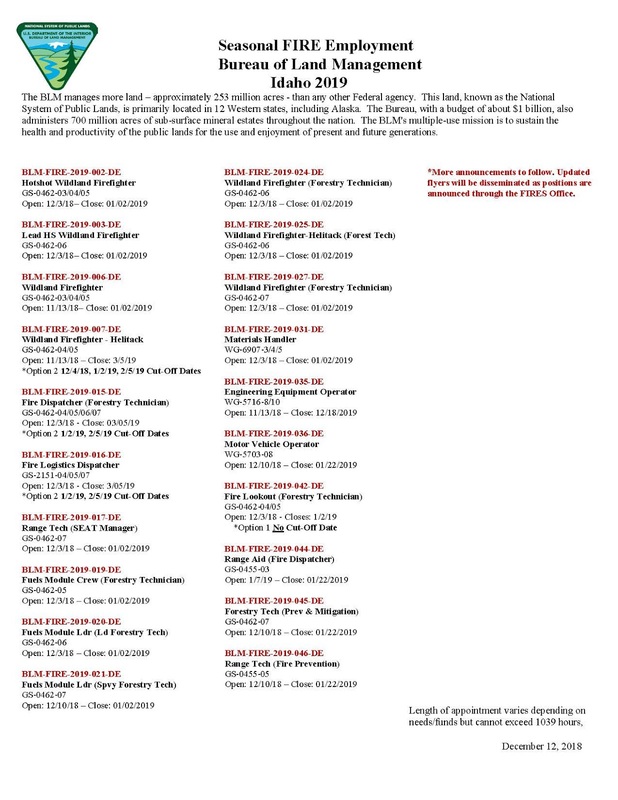 Most positions close Jan. 2, 2019! We highly encourage you to reach out to the hiring official in the office you would like to work in. 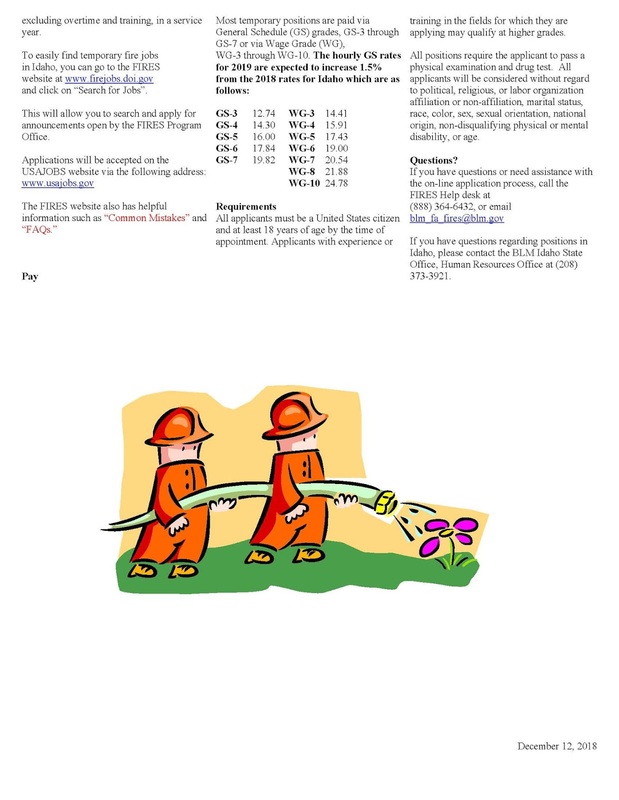 - You MUST complete the application in usajobs. - You MUST use the resume builder in usajobs. We do not accept uploaded resumes. - You MUST have 6 months general work experience. - You must be 18 by your start date. - You must have a high school diploma or equivalent. - You must be a legal U.S. citizen. Copy and paste the announcement number from the attached document into USAjobs.gov to apply for that specific position. As always, please reach out if you have any questions! Thank you and good luck!